A son of Spanish nobles and a dedicated soldier, Ignatius’ military career ended when he was hit by a cannonball. While recuperating, he read the lives of saints and decided to become a soldier for Christ. After a year in contemplation, he developed his program of “spiritual exercises” that are the basis of today’s twelve-step programs. 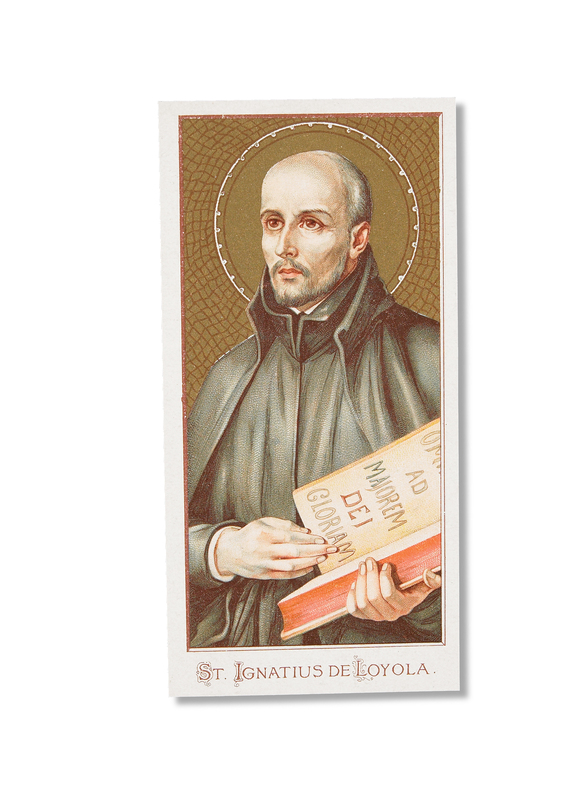 Eventually he founded the Society of Jesus, now called the Jesuits. As an order, they educate over 200,000 students per year in schools and universities all over the world. Other patronages: Basque Country (Spain); religious retreats, spiritual exercises.